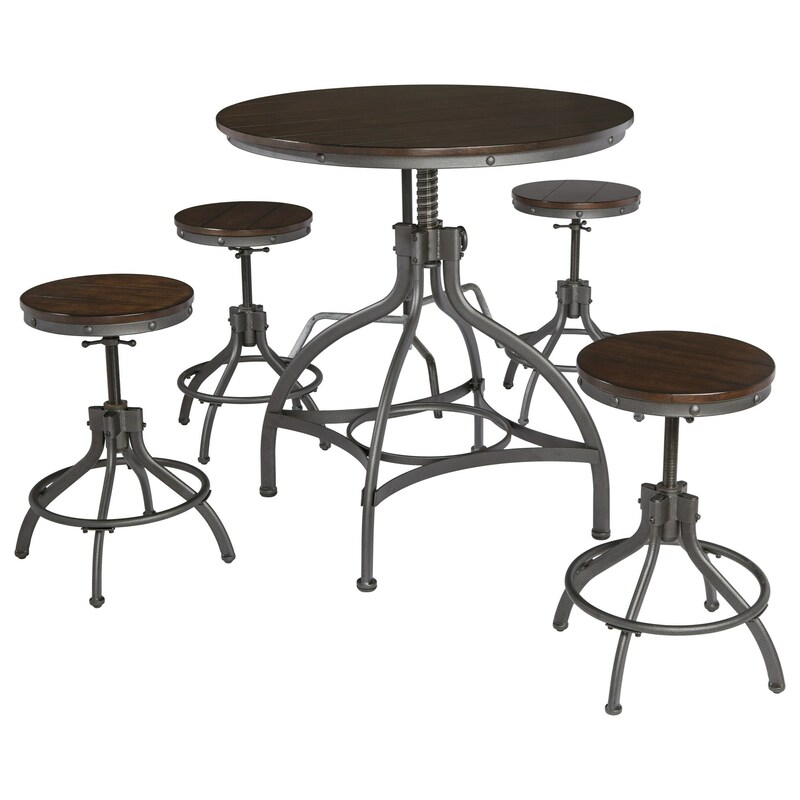 Keep you options open with this five-piece adjustable height table set. Both the table and stools are adjustable from dining height to up to counter height. The adjustable metal bases and decorative rivets play up the chic industrial design style. Birch veneer planked look for the seats of the stools and table top complete the table set. The Odium Adjustable 5-Piece Dining Room Counter Table Set by Rooms Collection Three at Rooms Furniture in the Houston, Sugar Land, Katy, Missouri City, Texas area. Product availability may vary. Contact us for the most current availability on this product. Case Construction Planked tops and seats are made with birch veneers and manmade wood. Bases are metal. Browse other items in the Odium collection from Rooms Furniture in the Houston, Sugar Land, Katy, Missouri City, Texas area.